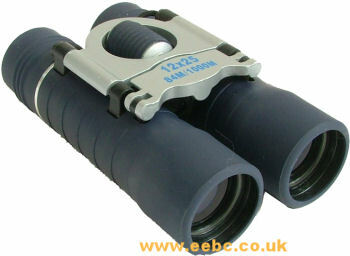 Optical Hardwares Visionary Compact binoculars give a sharp and bright image. 16/08/2007 16:37:01 Do you do any other small 12x binoculars, may be a bit better quality? Are these fixed X12 or do they zoom? We do not sell zoom binoculars. I would like to buy the Visionary Compact 12x25 binoculars. My question is, as I live in Lincoln, can I come to the shop to test them? if so, when is the best time. 14/03/2011 09:13:50 We have them in stock, so you can come and have a look at them almost anytime. There is someone here Monday - Saturday 9am to 5pm. If you can not make it at these times, we can usually arrange other suitable times.